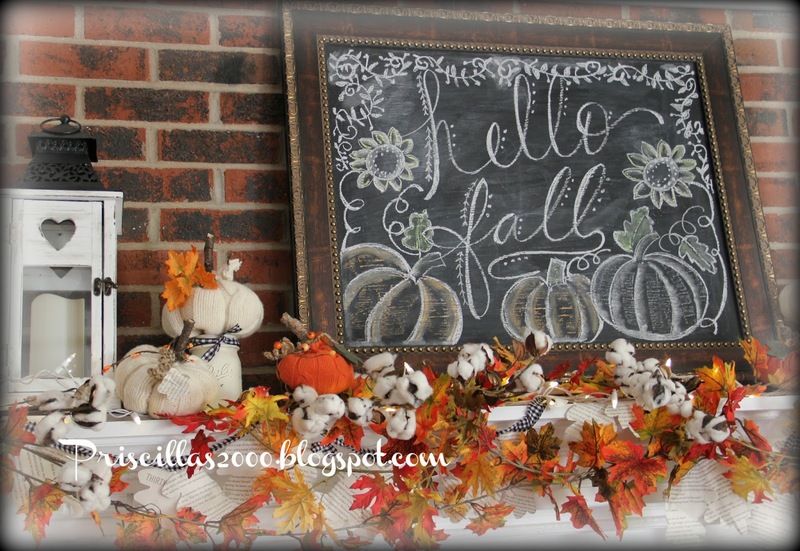 Love your chalkboard, it looks terrific. The mantle is very pretty and you did an amazing job. Have fun going pumpkin hunting. I really love your new chalkboard fall masterpiece, Priscilla, with just the hints of color! Very, very pretty, and your whole mantle looks so warm and autumny :) Enjoy your day! 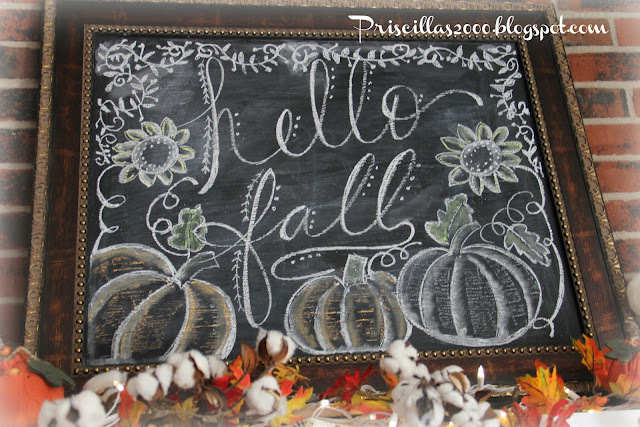 Your chalkboard skills are beautiful! 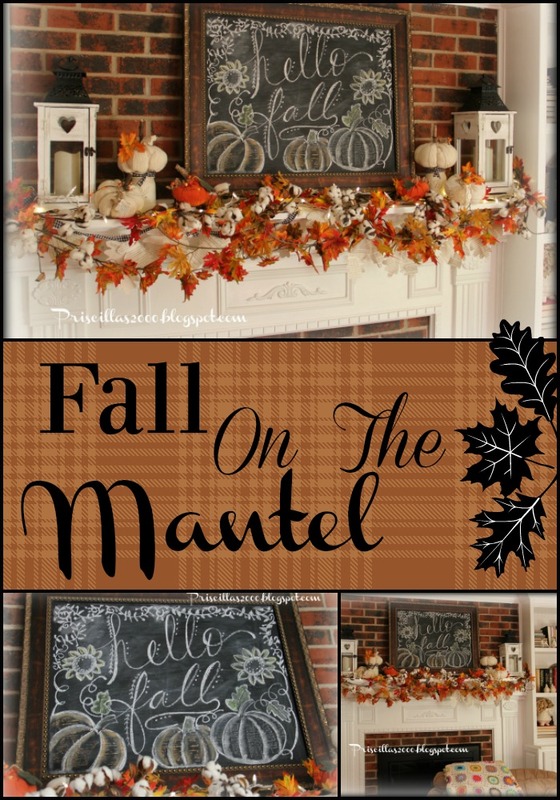 Something about Autumn leaves makes me feel cozy and warm, love your mantel. I really like seeing your chalk board art. You are so talented! 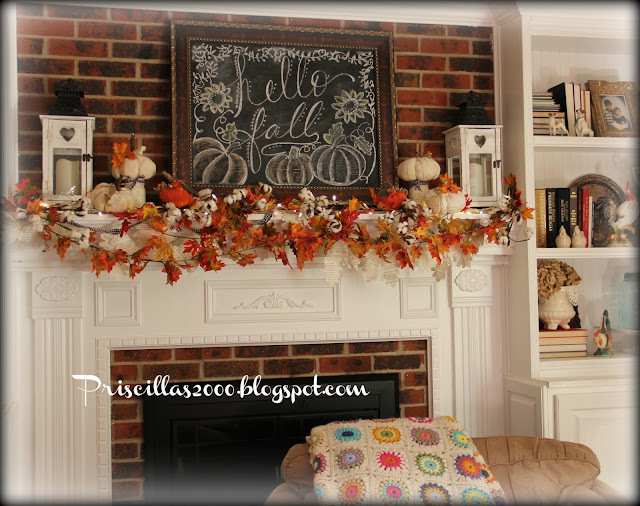 And the mantel looks great! Fall is one of my favorite seasons to decorate for! Very pretty display. 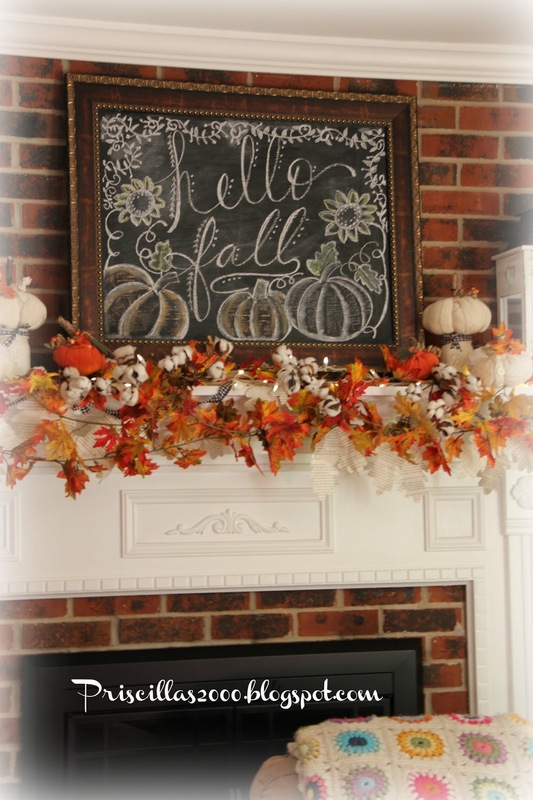 Your chalkboard drawing is lovely. Hi Priscilla! 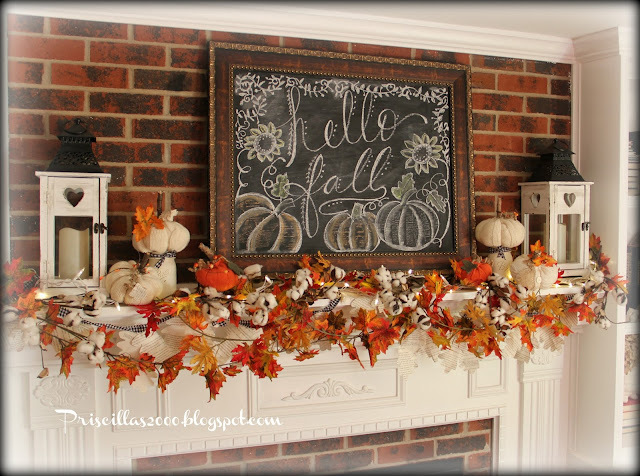 Your fall mantel is beautiful! 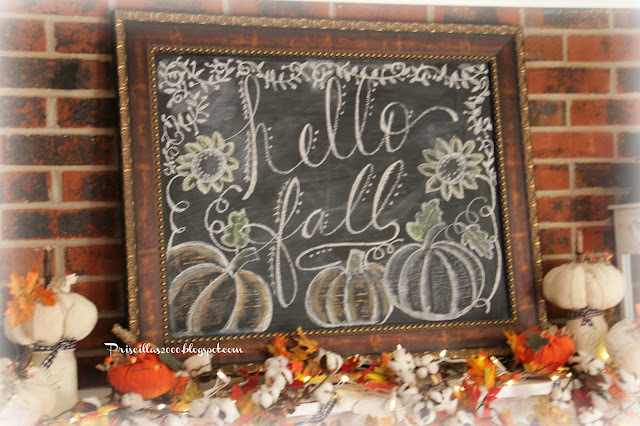 You did a fabulous job on your chalkboard display!! Would you consider sharing this at our weekly Dishing It & Digging It Link Party? We are live every Sunday @ 4pm. We would love to see your creativity each week!